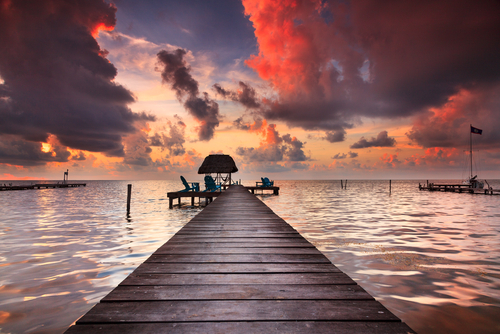 10 *Romantic* Holiday Destinations You NEED To Visit With Bae! If there’s one undeniable truth about travelling with someone, it is knowing that your relationship is bound to change in all kinds of ways. The true test of a strong romantic relationship, they say, is to travel with your partner. Discovering things about them you never knew before and experiencing their methods of solving problems can truly make you fall in love with each other all over again. To help you get a headstart on it, we bring you some of the best holiday destinations around the world to reignite the spark in your love life. It is the largest French speaking province and boasts of tourism being the fifth largest industry in the region. 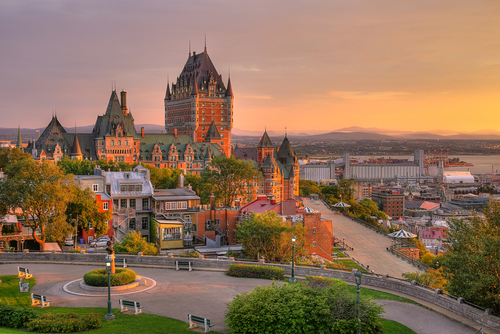 From cruises to casinos,and gardens to theme parks, Quebec has a little something for everyone who enjoys the great outdoors and is willing to indulge in a wide variety of sports. A city where you have French culture at its finest, it’s a designated UNESCO World Heritage Site where you can stroll hand-in-hand through pedestrian-only streets and sample some of the most exquisite views of the city together. 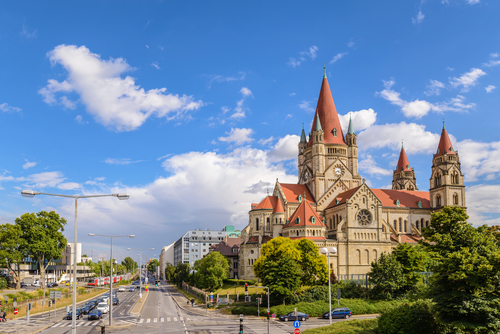 Steeped in rich cultural heritage and history, Vienna is the perfect concoction of soulful music, fine dining, and breathtaking architecture. Being the birthplace of Beethoven, it’s known as the City of Music, and is a must-visit on your bucket list if you are dedicating to imbibing true #CoupleGoals on vacation. 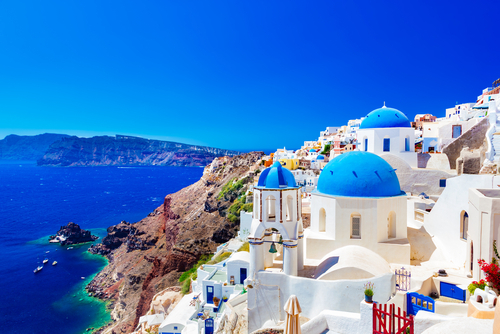 Hosting more than a million tourists annually, Santorini is a volcanic island belonging to the Cyclades group of Greek islands. The villages perched on the cliffside captures the very essence of romantic sunsets, panoramic views, and crystal clear beaches. The island is deeply embedded and influenced by Greek mythology and has been popularised by media in movies like Mamma Mia, making it the prime destination for couples around the world. Can’t you just imagine lounging in the balcony with bae and taking in this gorgeous view? 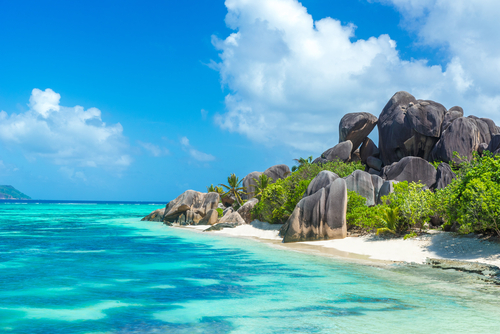 If there was ever a honeymooner’s haven, Seychelles would be it. White-sand beaches, bright blue skies, and marvellous sunsets are visions of perfection for an artist’s ideal masterpiece, on canvas. If you are a shutterbug looking for your next surreal shot, know that Seychelles is termed as ‘The Galàpagos of the Indian Ocean’, thus giving you an unfiltered view of nature’s bounty in all kinds of flora and fauna. Can’t get enough of those long, romantic walks with bae? 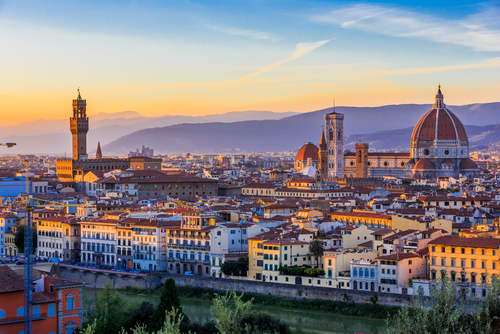 Have the time of your life in Florence - a city that is naturally designed for those who love to stroll in the midst of extraordinary architecture, medieval churches and chapels, and corners brimming with sculptures of renowned artists like Botticelli and Michelangelo. Take a dip into the delicious food and wine culture of Italy with your love, and make memories to last you a lifetime. You can thank us later! With a skyline to absolutely die for, and an environment that encompasses warm hospitality of the locals, Istanbul should be the ultimate ‘Culture Trip’ that will transform both, you and your love, teaching you values of spirituality on a whole new level. 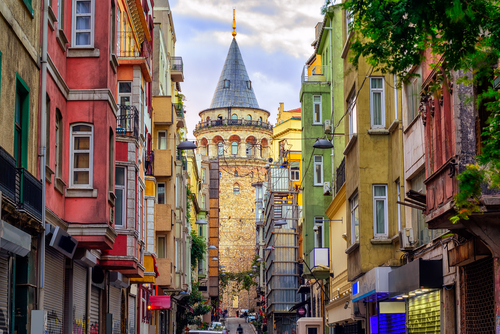 Take a dive into the history of Turkey’s past, and like a true traveller, immerse yourself in the local cuisine (kebabs and mezzes), learn about the Ottoman Empire, and the generosity of spirit that will have you raving about your trip to all your friends and family. 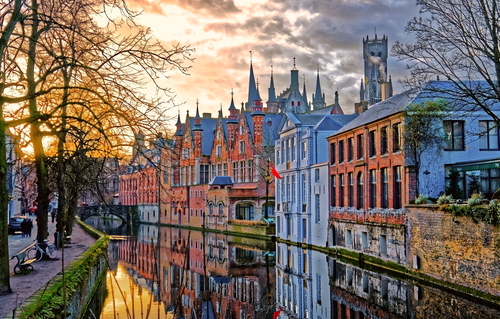 If cobbled lanes, gorgeous canals, and bustling market squares with ancient churches are your ideal aesthetics, it doesn’t get better than the city of Bruges in Brussels. The best part? You can have a wonderful time walking with your partner in historic courtyards carpeted with daffodils in Spring, or enjoy the icy wonderland of snow, snuggling to keep warm in Winter, and you’ll be on your way to create the best moments of your life, no seasons barred! 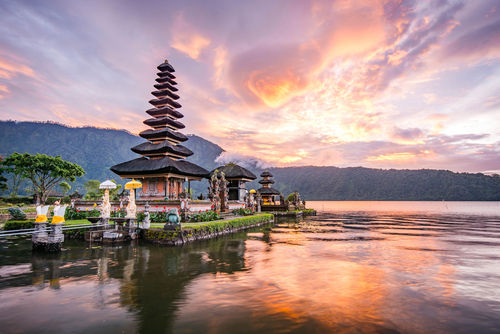 Bali has already made its way into one of the most popular honeymoon destinations for newlyweds in India. 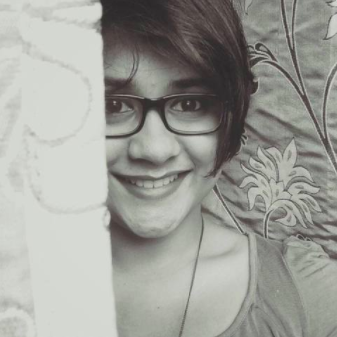 And we can see why. With unexplored little back roads and sea of greens, the essence of Bali lives in the true humanity and warm hearts of the Balinese residents. Spirituality runs deep within the roots of the paradise island, and traditional dance and music festivities are performed throughout the land - a visual treat to behold indeed. Of course, the fun nightlife, beautiful beaches and water activities don’t hurt either. Book your tickets already! There are very few of those who are aware and have experienced the carefree, ‘too-good-to-be-true’ ambience of Belize, where concepts of traffic, pollution, or any other chaos one associates with a metropolis, does not exist. The island is also home to a number of Rastafarians, which is definitely going to be giving you good vibes long after you are back from your vacation. Head to the destination for azure seas, the most exotic barrier reef, and beach-lazing for days! No holiday destination for couples would ever be complete without the mention of one of the most romantic destinations in the world, since perhaps the inception of time. The love for the Eiffel Tower, and the unapologetic passion for some of the world’s finest wine makes Paris the ideal spot for all kinds of fairytale romances come true. 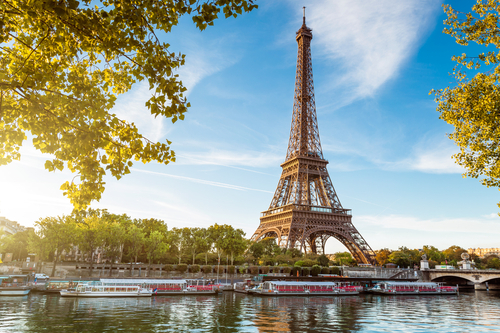 You know you’re already dreaming of your French trip with bae, aren’t you?